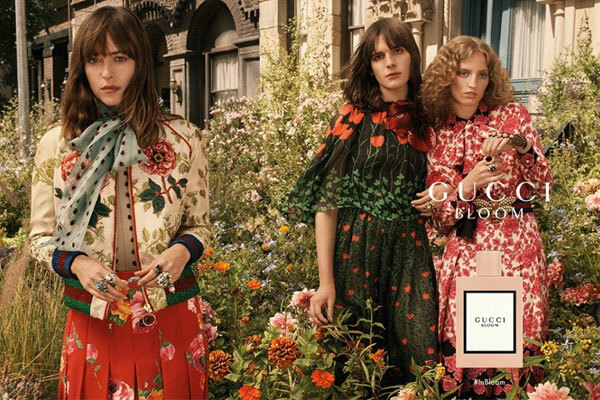 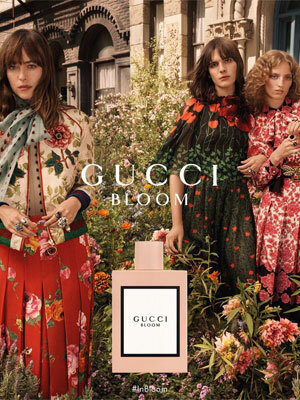 Bloom by Gucci - A new rich white floral fragrance for women created by Gucci creative director Alessandro Michele under new licensee Coty. 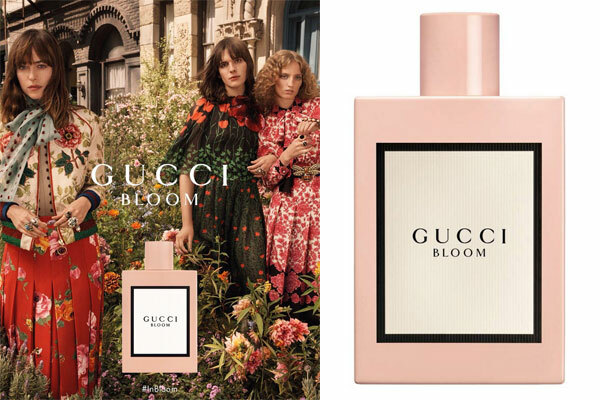 Michele and master perfumer Alberto Morillas created this feminine fragrance reminiscent of a blooming garden using notes of jasmine sambac, tuberose, orris, and Rangoon creeper from India. 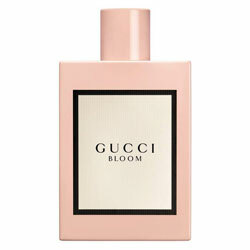 The perfume bottle is a powder pink lacquered square with a red and white toile de Jouy Gucci print on the packaging. Launched in August 2017 this fragrance is available in an eau de parfum spray and matching body products from Sephora, ULTA, and Macy's. 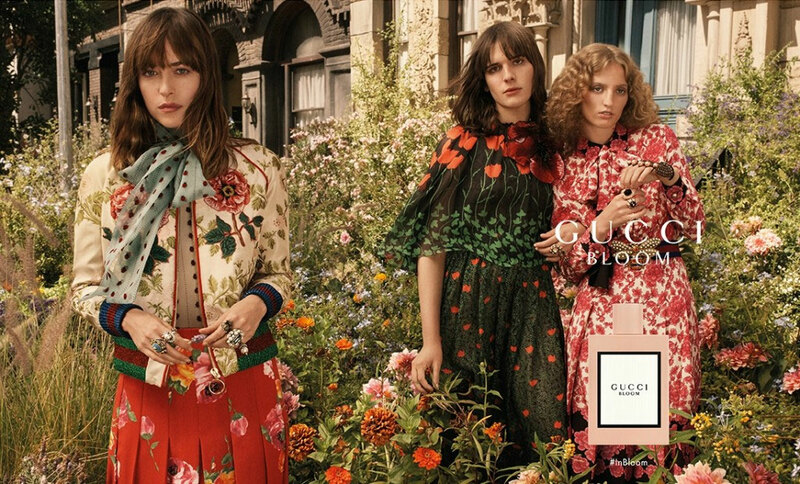 The fragrance campaign ads feature Dakota Johnson, Hari Nef, and Petra Collins photographed by Glen Luchford. 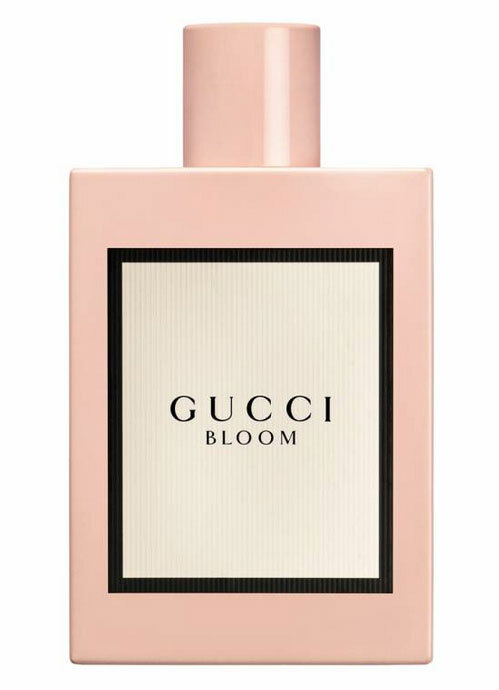 Package Design Lacquered square perfume bottle in powder pink with minimalist black and white label.